Born in Tonbridge, England, Martin Alper’s generous, inquisitive spirit led him around the world in pursuit of professional adventure and personal discovery. Alper’s love of music and fascination with the flamboyance of the ‘60s superstars motivated his first entrepreneurial leap, into the fashion world. The independence and excitement of building a team and running the show appealed to Alper and a successful SoHo restaurant soon followed. In 1983, Alper co-founded Mastertronic in London and began his involvement with and pioneering contribution to the fast moving and ever changing video game industry. These were heady days in the gaming business and while successful, higher priced games grabbed headlines, Alper and his partners were the first to identify and mine the untapped potential of the “budget’ video game market. Richard Branson’s Virgin acquired the company in 1994 and Virgin Interactive Entertainment was born shortly thereafter. During his tenure as president of this brash start up, Alper’s unparalleled deal making skills and his ability to identify and encourage some of the most creative and prolific developers in the business built Virgin Interactive into a gaming powerhouse. While Alper’s business accomplishments were many and varied, his legacy lies in the remembrances of those he inspired, mentored and motivated. His selfless generosity, kind demeanour and ability to inspire confidence in others encouraged many future video game stars to pursue their dreams. 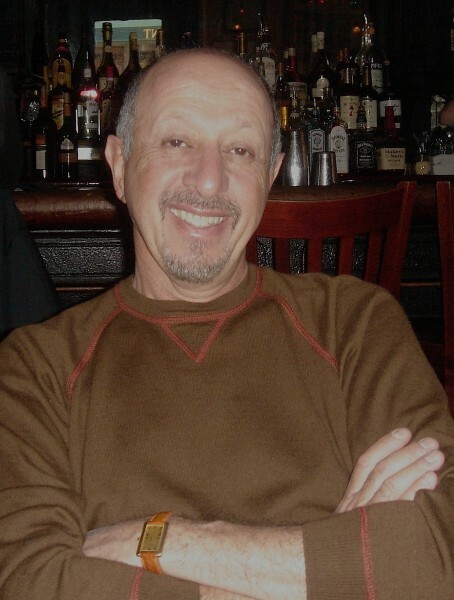 Following the sale of Virgin Interactive in 1997, Alper joined his son-in-law, Mark Kelly, in the creation of several web based software and service companies including PlateScan, one of the first companies to provide reliable license plate recognition software to U.S. law enforcement agencies. Alper met Jamie Jensen in 1996. An accomplished sculptor, Jensen shared Alper’s fascination with the creative process. They married in 2001, blossomed as artists, travelled the world, fuelled each other’s boundless curiosity, built and sold a business together and delighted in the many adventures that they shared on both coasts. He is survived by his loving wife Jamie; brother Barry and sister-in-law Angela; daughters Samantha McMurtrey and Mila Kelly and son-in-law Mark Kelly; grandchildren Alex, Jordon, Ben and Charlie. Alper died peacefully in his Laguna Beach home on Sunday, June 7, 2015 with Jamie by his side. Alper’s kindness, casual cool, intelligence, wit and grace will be remembered by all those lucky enough to have shared his journey.